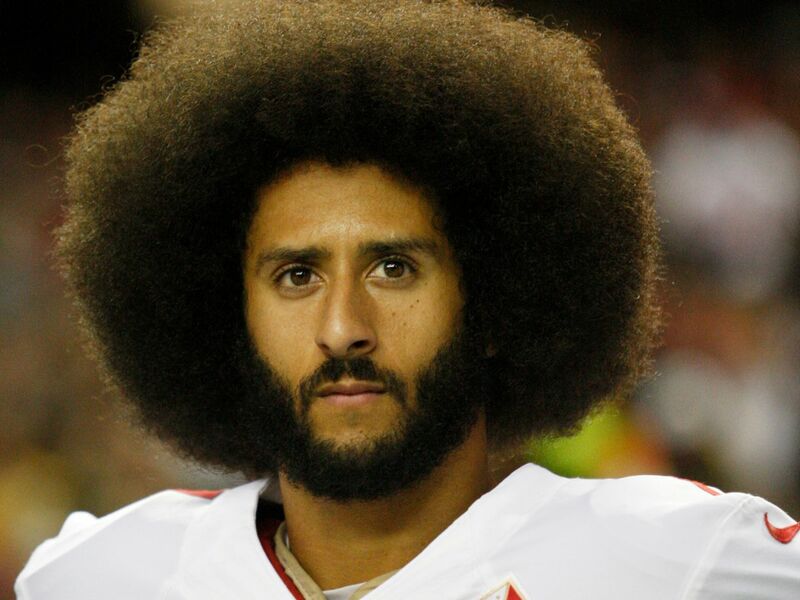 Continuing his silent protest, Colin Kaepernick declined to be interviewed for his GQ Man Of The Year cover story. Instead, the magazine talked to activists and friends of the athlete, like rapper J.Cole, director Ava DuVernay, activist Harry Belafonte, and Women’s March co-organizer Linda Sarsour to talk about their relationship with Kaepernick and protests. When planning out the look of the images, Kaepernick and the editors wanted to pay homage to iconic moments of athlete activism in the past. According to Rachel Johnson, the athlete’s longtime stylist, Kaepernick requested that the clothes he wore reflected the spirit behind the photo portfolio. I’m honored to be @gq Man of the Year! Thank you to @e_reid35 @nessnitty @ava @realcoleworld @msladyjustice1 @lsarsour @tamikadmallory @cfpetrella Ameer Loggins, and Mr. Harry Belafonte for being a part of this moment!